It is a potent sign of tough conditions in Venezuela, which is grappling with the lack of basic food items like milk, eggs and bread. People wait hours in lines outsides supermarkets to buy groceries and often only see empty shelves. Venezuela once had a robust agricultural sector. But under its socialist regime, which began with Hugo Chavez in 1999, the oil-rich country started importing more food and invested less in agriculture. Nearly all of Venezuela's revenue from exports comes from oil. 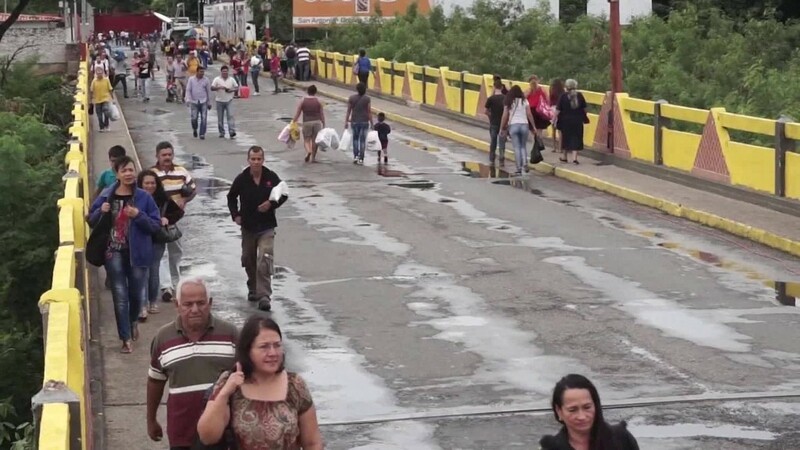 With oil prices down to about $41 a barrel from over $100 about two years ago, Venezuela has quickly run out of cash and can't pay for its imports of food, toilet paper and other necessities. Neglected farms are now being asked to pick up the slack. Maduro's actions are very similar to a strategy the communist Cuban government used in the 1960s when it sought to recover sugar production after it declined sharply following the U.S. embargo on Cuban goods. It forced Cubans to work on sugar farms to cultivate the island's key commodity. It's important to note that Maduro has issued decrees before and they often just languish. In January, his government published a decree that put in place mechanisms to restrict the access and movements to the money in the accounts. In other words, a kind of bank freeze. However, that hasn't happened yet. The National Assembly is expected to discuss the decree on Tuesday. But it would largely be symbolic: under Venezuelan law, the Assembly can't strike down a decree. This latest action by Maduro may also be a sign that at least one other leader may be calling the shots on this issue. Earlier in July, Maduro appointed one of the country's defense ministers, Vladimir Padrino, as the leader of a team that would control the country's food supply and distribution. It's powerful role, especially at a time of such scarcity in Venezuela. "The power handed to Padrino in this program is extraordinary, in our view, and may signal that President Maduro is trying to increase support from the military amid a deepening social and economic crisis," Sebastian Rondeau, an economist at Bank of America, wrote in a research note. Venezuela is the world's worst economy, according to the IMF. It's expected to shrink 10% this year and inflation is projected to rise over 700%. Beyond food shortages, hospitals are low on supplies, causing many patients to go untreated and some to die. The country's electoral authorities are still reviewing the petition, which Maduro strongly opposes.